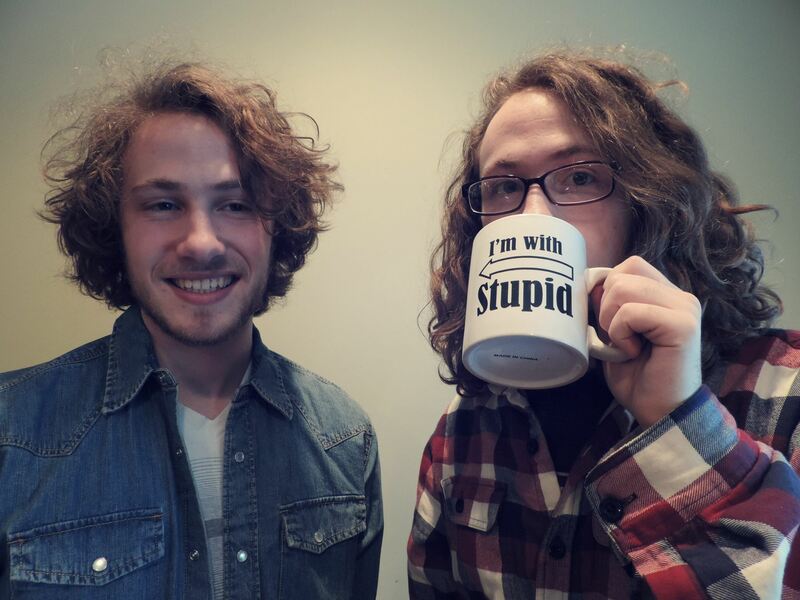 The following fill in the blank responses come from indie rock duo, The Winter Brave. The band formed back in 2007 and currently consists of twin brothers Sam and Jake Scarpino. The Winter Brave gained much attention in 2013 when Dave Grohl mentioned the band during an AMA on Reddit. In late July, the band released their latest EP, The Hand You Never Seemed to Lend. Learn more about The Winter Brave from their interview and be sure to check out the record below. Three words we’d use to describe us are….High energy rock! The story/meaning behind our name The Winter Brave is….We were walking around in downtown Pittsburgh when Jake tripped and landed near some graffiti that we thought said “the winter brave is,” so we shortened it down from there. The pickiest eater is….Sam. He doesn’t eat fish. The most OCD member is….Jake. He’s always hard on his guitar and vocal takes. For fun we like to….Play music or racket sports. Badminton, especially. Our favorite 90s jams include…. We find inspiration from….Especially these days we draw a lot of inspiration from contemporary artists, but we like to throw in a more rocking vibe. If we play another band’s music it’s….The Beatles. One thing we want you to remember while listening to our music is….Turn it up until your ears bleed. The Hand You Never Seemed to Lend was recorded in….Portsmouth, NH. Something we learned from creating it [The Hand You Never Seemed to Lend] was….How to make our songs sound like they’re made from more than just a duo. We went all out with the instrumentation this time. We’re absolutely terrified of….Space lizards living in the center of the earth who control high levels of government. In the next six months you should expect….More shows, more music, more happiness. This entry was posted in Fill In The Blank, Interviews and tagged band interview, duo, fill in the blank interview, fill in the blanks, interview, New Hampshire, The Winter Brave, The Winter Brave band, The Winter Brave music. Bookmark the permalink. working on a redo, good stuff coming soon. Halle reviewed the new album from Neck Deep and it was 🔥Check it out online now! !